I have a great line up of two books that have been released that would make great Christmas gifts for the perfect reader in your family! Don't miss out on these titles! 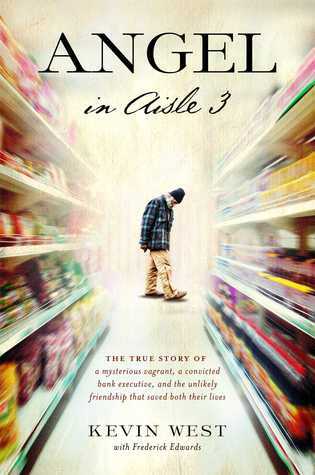 In the tradition of An Invisible Thread and Same Kind of Different as Me,Angel in Aisle 3 is the heartwarming true story of an unlikely friendship that began with a chance meeting in a grocery store between a bank executive bound for prison and an elderly stranger. This book is beautiful. I have never read a book quite like this. Can you imagine going from being the vice president of a bank to then sitting in prison? This was the life Kevin was leading. Don, living on the streets showed up to his corner store asking "Are you getting anything good out of that book?" Don was referring to the Bible on Kevin's counter. Of course, Kevin replied "it's all good." This began the beginning of many conversations. Kevin gave Don groceries and sent him on his way. Don and him continued to have many more conversations where he instilled biblical wisdom and helped Kevin through very difficult moments including when Kevin was facing difficult circumstances like losing everything including their house. Don showed up, prayed with Kevin and continued to encourage him. This relationship continued, which eventually led Kevin to becoming the "Teacher." If you want to know what this means, you'll need to read the book. This is one of those books you can't put down because it is so good. From start to finish I was glued. I loved this book and I highly recommend it. It will definitely make you think that their is a higher purpose for your life. 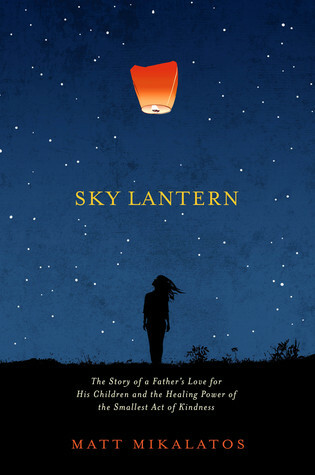 The Second book that I have to tell you about is called Sky Lantern! Don't miss this title either! One morning Matt found a broken lantern that said "Love you, Dad. Miss you so much. Steph." Matt thought about this beautiful and yet simplistic message. 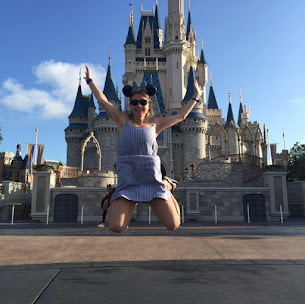 He wondered about how he should handle the situation, but felt he should write back to "Steph", so he wrote a beautiful letter telling her very kind words, the kind of person her dad thought she was and how much he loved her back. He didn't know where she was, so he put the letter on the internet, which caused it to go viral. He started receiving messages. Eventually, it led its way to "Steph." Eventually, the two meet in person and she talks to Matt about how the letter changed her life. The lantern led to a beautiful friendship between Matt and Steph. This book is a great reminder that we can show great love with small gestures. Don't miss out on this beautiful book. It will remind you about what it means to be human and the beauty of the human spirit! Thank you to Howard Press for allowing me to review both of these amazing books. I was not compensated for a positive review. I give both of these books 5 star reviews.